From babies through adults, boys and girls, we have classes for them to learn gymnastics skills and have fun. Classes run for 8 week sessions with age-appropriate lessons. Our gymnastics Nastics programs use themes such as letters, concepts and holidays incorporated into daily classes to stimulate their imaginations! Big kids are working on skill acquisition on all four events. All participants will have a chance to earn ribbons for skill mastery, over 20 awards to achieve and collect! Class Descriptions for 'Nastics (6 months-5 years) Fit By Five. Pre-crawlers can enjoy FUN tummy time, themes to nurture imagination, sensory exposure (bubbles, toys, music, colors) and varying movements. Toddlers will try obstacle courses and stations through different gymnastics events to learn the fundamentals of the sport. They will attempt some of the same things as Totnastics, just with the help of a parent. This is a great way to prepare for independent classes! Totnastics will work on beginner skills on all of the apparatus through games, stations and activities. Preschoolers love the trampoline and the foam pit! Independent from Mom and Dad, Totnastics is a great first exposure to a solo structured class. Kids will have fun all while building physical skills and confidence. Kidnastics starts to focus more on skill acquisition, goal achievement and practicing teamwork. Classes are one hour and will balance fun and physical challenge. Kids work on tumbling, high beam development, dynamic vaulting and strength for bar progressions. Once the beginner skills are mastered, Kidnastics students will be eligible for the next level. Does your little one use your couch like a jungle gym? If you're looking for a safe and creative way to burn off some of that extra energy, come join in our training for the junior ninjas out there. This class combines tumbling, climbing, getting through obstacles, and even some flips to increase body awareness, coordination, agility and skill levels. After training all session, Ninjas will have their final obstacle course to complete and beat their best time. Every session has a different obstacle course challenge with new goals to reach. Not every child wants to work on beam, bars and vault. Some just want to tumble and flip! In this class, they spend the whole hour developing floor skills instead of it being split by other events. It will accelerate their tumbling progression and is perfect for aspiring cheeleaders. We also offer cheer tumble classes for ages 6 and up for all levels. We have something for all of your munchkins ages 6 months-5 years in the mornings! These classes overlap in age to offer unstructured, structured class with a parent and independent classes to move through at their own pace. Children develop at different rates and this class flexibility in the early years makes it easy for your child to succeed. This is a great way to start the morning, free play in our 7500 square foot gym full of things to climb, crawl and jump on. All preschool ages can socialize and play on our trampolines, mat shapes, toys and in the foam pit for unstructured discovery! Totnastics and Kidnastics classes are also offered mornings. Class Descriptions for Big Kid program (ages 5-17) Attitude determines your altitude. The school-age classes focus more on skill development. They will also have fun, active games and challenges but will focus on goals for skill achievement. These classes have age divisions to ensure the right amount of challenge leading to success. Once they master the basics they will be asked to move into the intermediate classes and from there to the advanced. The Big Kid Program classes have higher expectations than the younger levels because they naturally have better coordination, body awareness and listening skills. Games and activities are still a part of every class. Drills, coach assistance and repetition will help them master the gymnastics fundamentals. Once a child has mastered all beginner skills, they will be invited to the Intermediate level. With a solid foundation, harder skills such as back walkovers, front handsprings and back extension rolls can be achieved. Vault, Bars and Beam training will also advance to more difficult tricks. Advanced is our highest level in the recreational program. Students will work on harder tumbling such as front and back handsprings and full passes in addition to using the table vault, high beam tumbling and circling skills on bars. For our Homeschool community we blend everything our gym has to offer to create a well-rounded physical education. Students will work on gymnastics, trampoline and sports performance training to develop all around strength, speed, coordination and flexibility all while having fun with their peers! Come join us for this new and exciting class that incorporates climbing, flipping, tumbling and getting through obstacles. Is your child literally bouncing off the walls? Then this energetic opportunity may be exactly what he or she needs! After training all session, Ninjas will have their final obstacle course to complete and beat their best time. Every session has a different obstacle course challenge with new goals to reach. This class is for gymnasts or cheerleaders or those who just want to work on tumbling skills. Tumbling classes will include a proper warm up and stretch to prepare the body to begin to drill skills for Levels 1-5. Participants will be taught a variety of drills to help the gain tumbling skills. Athletes will move on to new skills after certain skills have been perfected. Attendance is extremely important and results are cumulative. Too young? 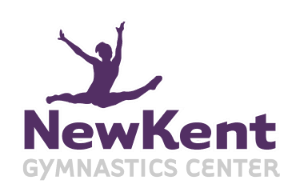 Check out our Tumble-nastics class for 4-5 year olds. Come learn some new skills with your friends or cheer teammates. Want to improve stunting skills for cheer? In Flex-N-Flight classes athletes are working on stretches to assist them in pulling body positions in stunts and also works flexibility for both jumps and tumbling. After a series of intense stretches athletes are then able to work on flexibility skills in the air on bases and/or other equipment. Have you been watching your kiddos during class and want to give it a shot yourself? Whether you were a past gymnast, athlete, or a total beginner, all are welcome to join! We will be working on all levels of skills on floor, bars, beam and vault at an appropriate speed and level of intensity. Spaces are limited so sign up quick! Want to train like a gymnast? Try the conditioning methods using body weight that are used in gymnastics. Suitable for all fitness abilities, workouts will be custom made based on your level. You will feel the burn!